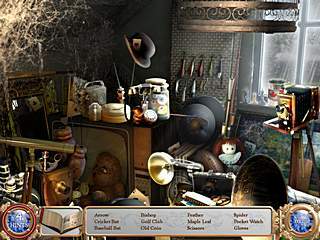 If you have been playing a hidden object genre for quite a while so far, you will be able to name its features. The word "mystery" will be one of the first ones. And time-travelling theme won't be too far from top 5. Looking at this title you might be thinking (like I was) how long? How long are they going to go back to this? But don't judge just by the title (like I did). Time Mysteries: Inheritance turns out to be a decent game. Vivien is to save her dad and to get all of the rings back before they are found by somebody else. Vivien Ambrose is the character you play for. She is a renowned physicist that finds out a lot about her family after her father had been kidnapped by an evil time-traveller. She learns that time-traveling is their family's thing. Each of them can actually do that including herself and her father. This is what she's learnt from a crystal ball. It also revealed her that time-traveling is possible for them thanks for the seven magic rings that belong to the family, or rather, belonged before Vivien lost them in pursuit of the kidnapper. So now when the rings are scattered through different eras, the task for Vivien became double times more complicated. She is to save her dad and to get all of the rings back before they are found by somebody else. The story of the game develops as you play and may seem just a bit confusing, but that's not such a big deal, because we don't play these games to hear a story, right? As to the searches and puzzles they do their part in a worthy manner. 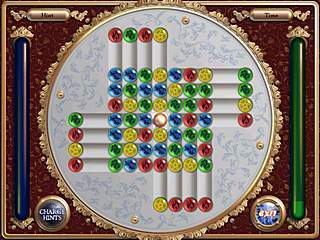 The game can be played in one of the two modes - Regular or Expert. The difference is in the recharge time of the skip button and the sparkles to help you out in scenes. The hidden object levels are quite straightforward. There are no items hidden inside of something or that should be found by puting together the pieces of it. You are just given a list of items to find. One of the nicest things in the game is the hint system. You start off with four hints that can be used whenever you want. But then you can only get them by playing a match-three game. It is a kind of fun and refreshing offering you. It's a sort of a game in a game. Then there are certain puzzles that repeat in some time period. Like in order to get to the next time period you are to collect the items related to that time in a central archive room. Also you will have to complete a seven-step puzzle where you are to find the differences on a scene related to the previous time period. This can become a bit repetative with the time. Most of the mini-games are good old ones. They play smoothly, but that leaves you without a real challenge really. The graphics are beautiful and worked out in every detail, which is always nice. 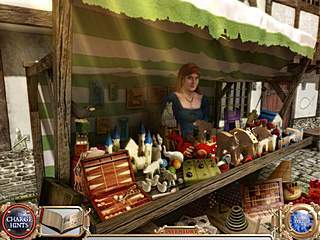 Time Mysteries: Inheritance would be a great example of the genre to those new to games like this. This is Time Mysteries: Inheritance review. Download this game here.